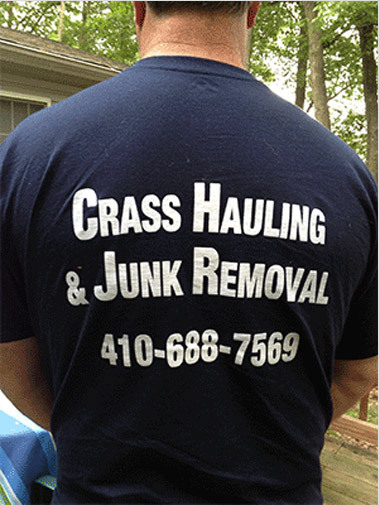 Crass Hauling LLC has been serving the junk removal needs of Harford County Maryland, Belair MD, Lancaster Pennsylvania and York PA residents for over 15 years! We also offer all types of junk hauling, light hauling, heavy duty hauling, trash removal, garbage removal, light moving of apartments and small houses, garage clean-outs and construction clean-up. 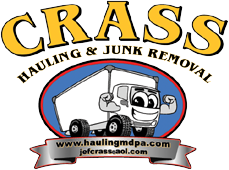 When you contact Crass Hauling LLC and Junk Removal Service you deal directly with owner, Jeff Crass. Jeff personally guarantees your 100% satisfaction with our junk removal and small moving companies services. We deliver mulch & spread it around your house , landscaping , bushes & trees , areas you just want covered to look better, & any where else you want it. We do industrial and commercial cleaning during and after projects. we can take down a whole house or addition, mobile homes and trailers. We had a great experience from start to finish! I was called immediately after I spoke to a home advisor representative. The price was reasonable. They were very accommodating and timely. The guys were great. We definitely will have them again. Arrived within 1 hour of phone call. All work done to my satisfaction without issue. Professional, very accommodating and friendly. I would most definitely recommend group and hire them again!